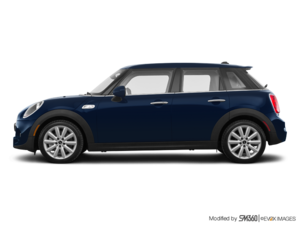 Brand new for 2015, the MINI 5-Door offers up the versatility and practicality MINI owners crave without being short on performance and fun; two things MINIs are known for. Sure, it’s got two more doors, but it’s definitely not being weighed down by them. If anything, the added features have only made it more lighthearted. 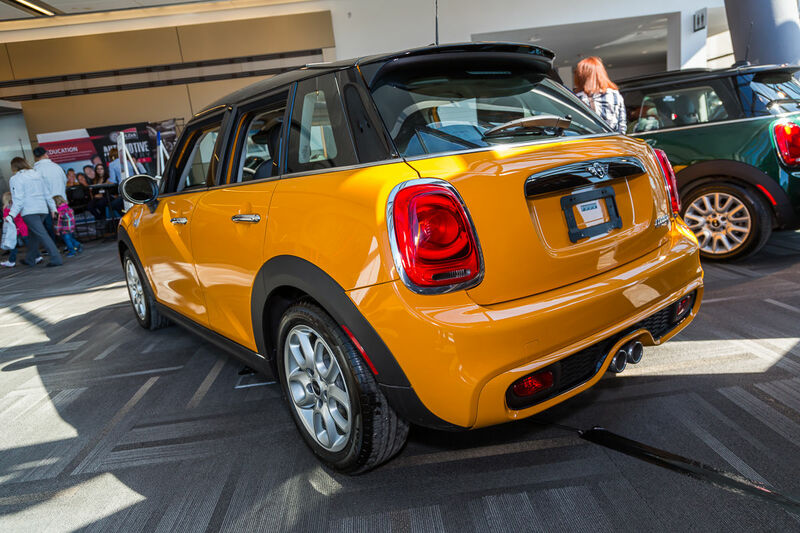 The MINI 5-Door is a pseudo hatch-wagon we know you’re going to love just as much as the 3-Door. 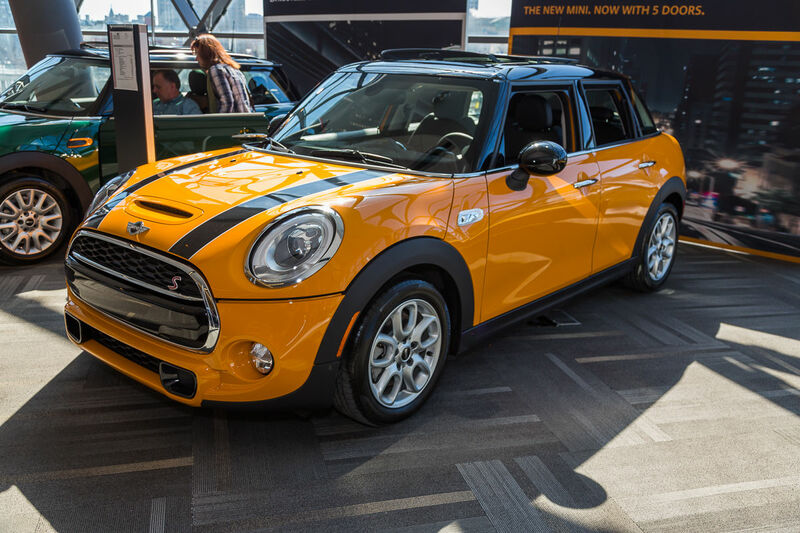 The 2015 MINI 5-Door sports the same two engines found in the 3-Door hatch variant. In the 5-Door Cooper you’ll find the 3-cylinder Twin Scroll turbocharged mill that’s good for 134 horsepower, and in the Cooper S model the 4-cyl Twin Scroll turbocharged engine produces 189 ponies. And while there is added weight in the length and extra doors of the 5-Door model over the hatch, once you get behind the wheel, you’d be none the wiser as the 5-Door is just as peppy and exciting to drive. 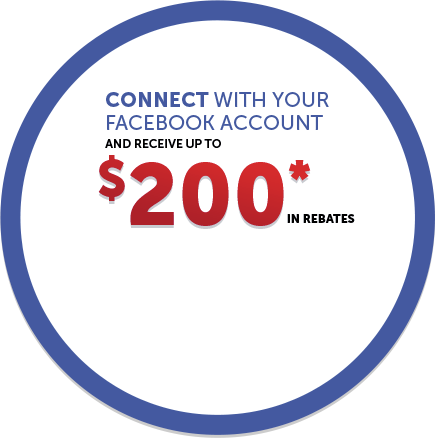 Transmission choices reside in a 6-speed manual or 6-speed automatic. And all power is sent to the front wheels. 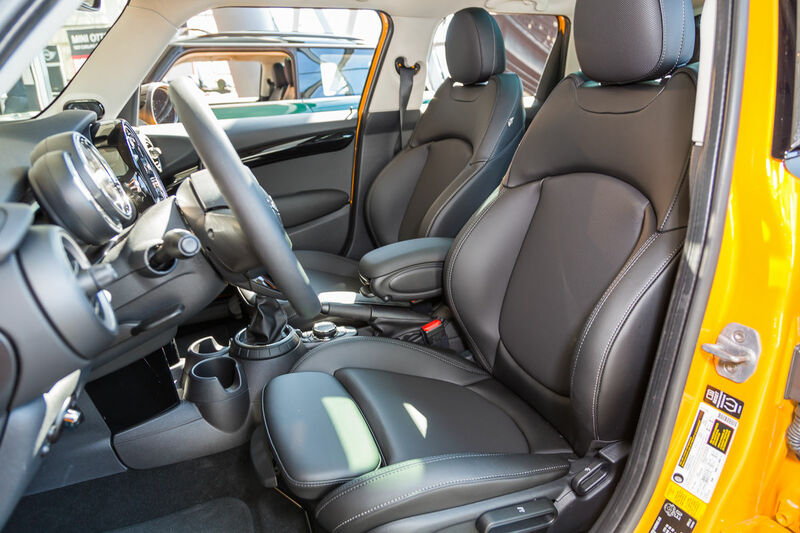 There is no all-wheel drive version available as that is left to other models in the MINI lineup. 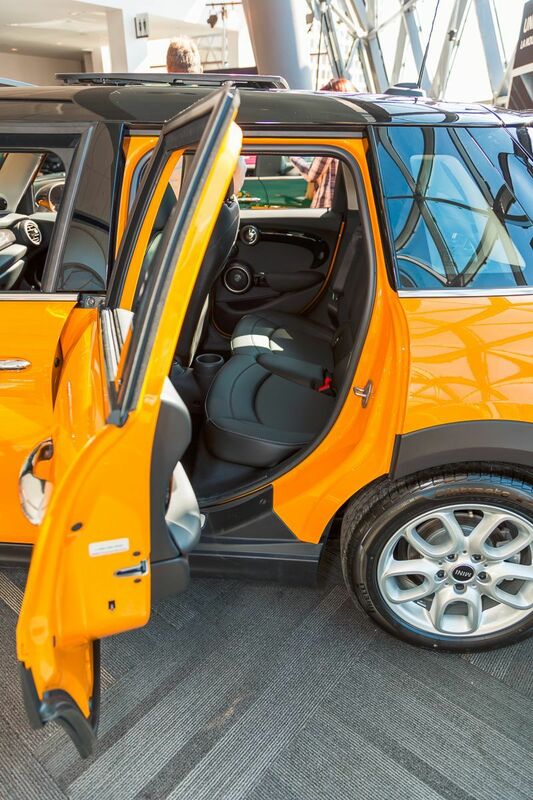 Inside the 2015 MINI 5-Door, it’s business as usual with recognizable chromed toggles as well as the bright red start/stop ignition switch. 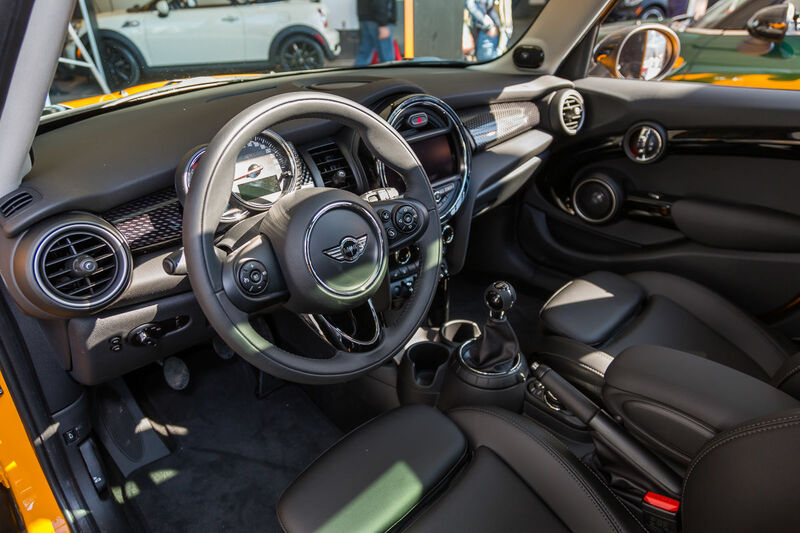 The power-window buttons have been moved to the door panels; however, MINI’s Excitement Lights (ambient lighting) still remains and can be accessed on the ceiling just above the rearview mirror. 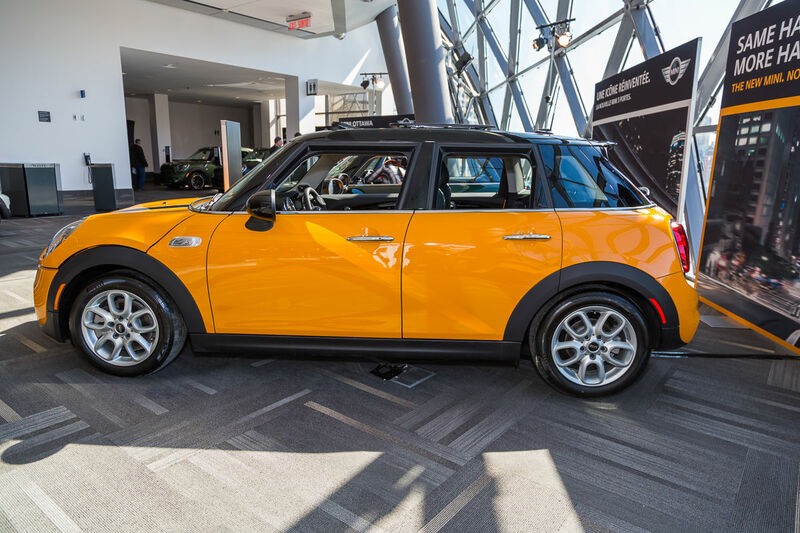 A brand new feature found in the 2015 MINI 5-Door is the head-up display. On one of the chromed toggle switches near the gear lever you’ll find a button marked with an “i” that activates a pop-up plastic screen just above the speedometer. On that screen you’ll find digital speeds displayed as well as navigation instructions should you have them programmed. 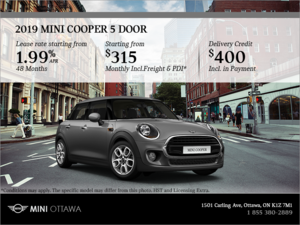 Overall, the 2015 MINI 5-Door offers practicality in a truly MINI-esque package. With its dynamic, go-kart handling and two fabulous engines to choose from, the 5-Door is the perfect addition to the MINI family of vehicles.